*This opinion article was originally published on Monday 20th February at Renewreporter, which has since been discontinued. Just a week into the 2017 parliamentary year and the Victorian opposition leader has made an error that could relegate the Liberals to the political wilderness for another term. Victorian opposition leader Matthew Guy has kicked a hornet’s nest by going along with Turnbull’s ideological attacks on renewable energy—a universally popular technology. The opposition has pledged to scrap the Andrews government’s popular Victorian Renewable Energy Target policy that will create 10,000 climate jobs, attract $2.5b investment to the state, and cut power sector emissions by 12 percent. Just how unpopular is the opposition’s pledge? Well, its anti-renewables stance saw over 70 people rally at electorate offices across Melbourne—an astounding effort after a mere 24 hours after the announcement. One of the rallies took place in Caulfied outside the office of David Southwick, where community members called for the shadow minister for renewable energy to be retitled the minister against renewables. 1. Coal and gas: roadblocking renewables with a do nothing approach to energy will lead to increased power prices, lost job opportunities for regional Victoria and greater climate impacts. The reality is that aging coal plants are closing and need to be replaced. The true cost of coal was recently revealed by French energy giant Engie confirming that rehabilitating the highly polluting Hazelwood coal station and mine site is estimated to cost nearly $1billion and may rise. Recent research by Dylan McConnell at Melbourne’s Climate and Energy College confirms that building “ultra-super-critical-coal” would be twice the cost of using renewable energy to meet Australia’s national climate goals. Evidence also indicates that gas companies are gaming the market, controlling supply while sending gas offshore to maximise profits at the expense of consumers. Wind and solar power are now cheaper to build than coal and gas, and the best way to put the brake on rising energy bills. Recent analysis by Bloomberg New Energy Finance found wind energy could be built at a cost of $80 / Mwh – compared with $143/MWh for new build coal, and $116/MWh for new build gas-fired generation. They predict solar will become cheaper than coal and gas as soon as 2020. Guy’s pledge to axe the VRET reveals an ideological opposition to the most economical new generation, wind and solar and pegs him to the most costly and polluting energy, coal and gas. Taking a do-nothing approach to the energy system by opposing renewables is a sure fire way for Matthew Guy to make the Victorian Liberals the party for higher power prices. 2. The universal popularity of renewables. Manufacturers want it. And communities want it. Just over a week ago, Friends of the Earth visited wind workers in Portland at Keppel Prince, Australia’s largest wind tower producer and a leading solar installer. The opposition’s pledge to axe the VRET is a slap in the face for communities who support renewables. Barry Mann of the Macedon Ranges Sustainability Group (MRSG) attributes the Victorian Liberals loss of the seat of Macedon in 2014 to their restrictive anti-wind farm laws while in government. Matthew Guy appears to have forgotten the days of the trouble plagued Baillieu government, whose ideological opposition to renewable energy meant even community groups like MRSG couldn’t build their own renewable energy projects. Evidence shows the majority of Victorians share Mann’s views. A 2016 ReachTEL poll commissioned by Friends of the Earth found that the vast bulk of Victorians want an urgent shift to 100% renewables, including a majority of Liberal voters. As reported in the Guardian, more than 68% of Victorians said they agreed or strongly agreed that “Victoria needs to transition its energy use from coal to 100% renewables as a matter of urgency”, according to the ReachTEL poll of 1,137 people conducted on 4 August, 2016. A majority – 51.2% – of Liberal-voting or leaning Victorians agreed that the state needed to move urgently towards 100% renewable energy. Support was highest among undecided voters, with 70% agreeing the state should urgently move to 100% renewables. Victorians love renewables and they deserve truth in advertising. This is why the Liberal party’s shadow minister for renewable energy David Southwick should be retitled the shadow minister against renewables. How can you claim to stand for renewable jobs and investment when your policy is to scrap the Victorian Renewable Energy Target? If Matthew Guy fails to re-title Southwick’s position to reflect the party’s current position it will show that like Malcolm Turnbull he lacks the backbone to act in the public interest. Without changing course, Guy risks a return to the troubled days of the failed Baillieu government. Pat Simons is community coordinator at Friends of the Earth’s Yes 2 Renewables campaign: 100% renewables, good jobs, community power, climate action. 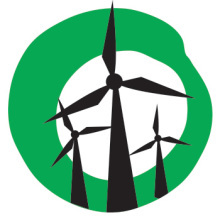 Follow @yes2renewables and @prrsimons on twitter. TAKE ACTION: Protect renewable energy jobs and sign the petition for Matthew Guy to drop his misguided pledge to axe Victoria’s Renewable Energy Target. SUPPORT OUR WORK: Chip in to our fighting fund to keep the Yes 2 Renewables campaign on the road! GET INVOLVED: Join Y2R at our regular collective meetings, every Tuesday at Friends of the Earth Melbourne, 312 Smith Street Collingwood, VIC.